← What’s so great about the Great Wall (Part II)? 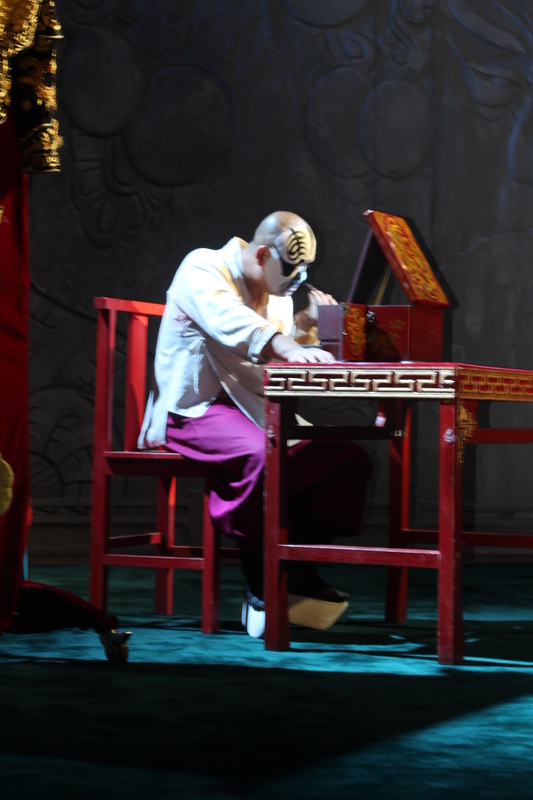 If you attend the Beijing Opera, you’ll be given an opportunity (prior to the opening act) to leave your table or seat in the audience and stand at the edge of the stage. There, you’ll get an inside look at how a character in the opera applies his make-up and, with the aid of a dresser, layers on the lavishly embellished clothing worn during the performance. 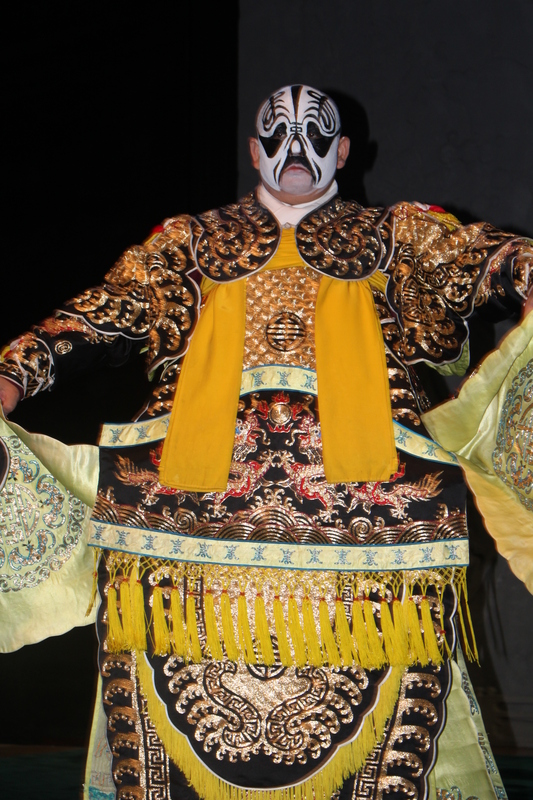 It’s a rare glimpse of how the inside preparations become an extension of the signature pomp and pageantry of the world-famous Beijing Opera. With great care, the performer applies the intricate make-up for his character. A dresser ties on the undergarments. 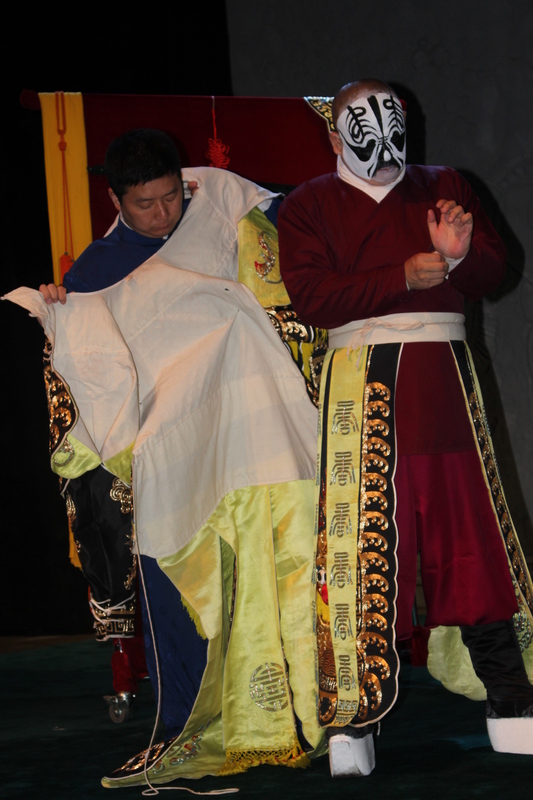 Next come the ornate outer garments. The waistline piece adds the finishing touch. And the fully dressed performer stands ready for a night at the opera. For more entries in the Weekly Photo Challenge: Inside, click here. 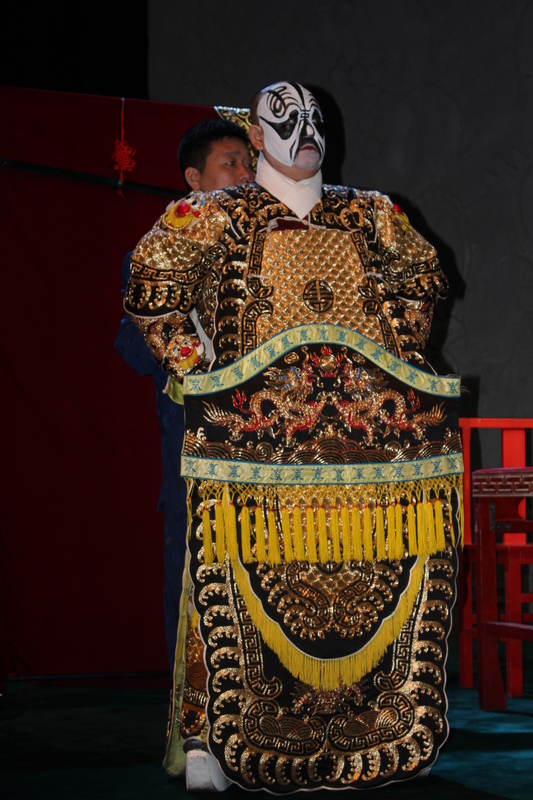 This entry was posted in Weekly Photo Challenge and tagged Beijing, Beijing Opera, China, dresser, postaday. Bookmark the permalink. Wonderful take on! Rarely get to take a inside look. Thanks so much! It was such a wonderful surprise to get to stand right next to the stage and watch all of this!